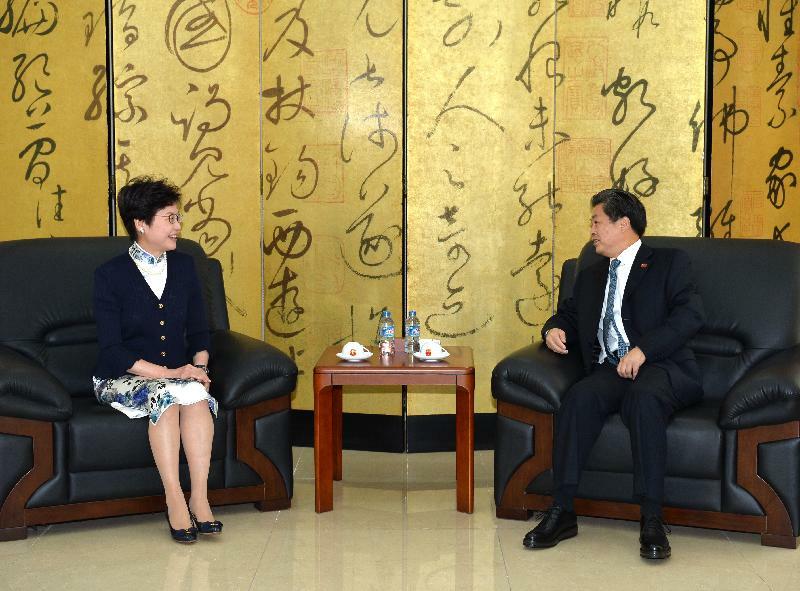 The Chief Secretary for Administration, Mrs Carrie Lam, started her four-day visit to Vietnam to forge closer links between the Hong Kong Special Administrative Region (HKSAR) and Vietnam. 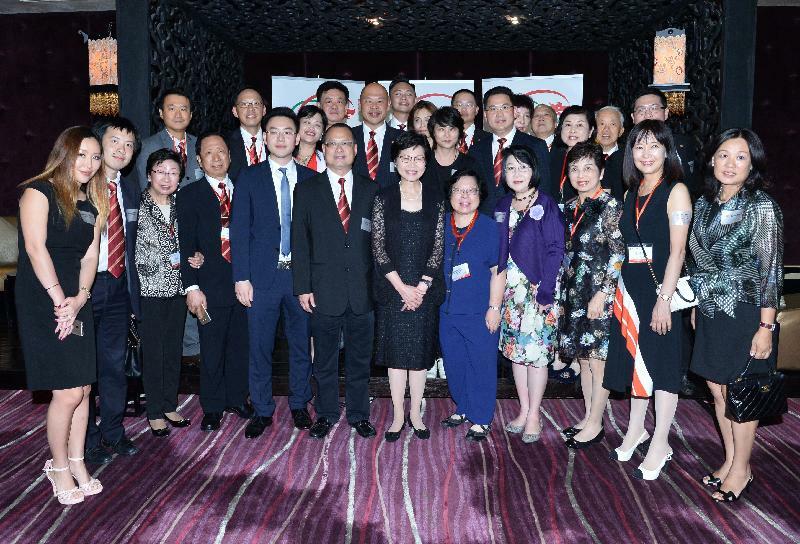 Shortly after her arrival in Ho Chi Minh City in the evening yesterday (August 15), Mrs Lam attended a dinner reception with Hong Kong people living and working in the city. She briefed them on the latest developments in Hong Kong, with particular reference to the new business opportunities arising from the future Association of Southeast Asian Nations (ASEAN)-Hong Kong Free Trade Agreement (FTA) and China’s Belt and Road Initiative. This morning (August 16), Mrs Lam called on the Chairman of the Ho Chi Minh City People’s Committee, Mr Nguyen Thanh Phong, to update him on the latest developments in Hong Kong and to exchange views on issues of mutual interest. 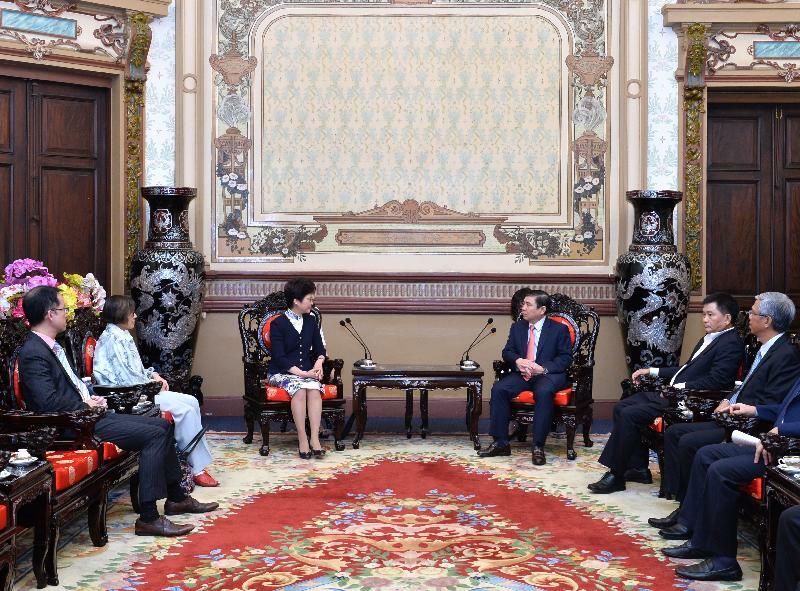 She was briefed on the efforts of the Ho Chi Minh City People’s Committee in developing the city into an economic hub of the nation, which clearly opened up more opportunities for the two cities to strengthen ties in trade and investment. She then paid a courtesy call on the Consul General of the People’s Republic of China to Ho Chi Minh City, Mr Chen Dehai, and thanked him for offering consular assistance to Hong Kong people in need and for supporting the HKSAR Government’s promotion work in Ho Chi Minh City through the Hong Kong Economic and Trade Office in Singapore. After that, Mrs Lam visited the Saigon Central Post Office and the Notre-Dame Cathedral Basilica of Saigon to learn more about the city’s work in preserving historic buildings. The Saigon Central Post Office was built around 1886-91 and the Notre-Dame Cathedral Basilica of Saigon was constructed from 1863 to 1880. They are among the oldest buildings in Ho Chi Minh City. She also met with young leaders of the Sunwah Foundation Global Young Leaders Network (Sunwah GYLN) and exchanged views with them. Mrs Lam encouraged the young leaders to seize the excellent learning opportunities offered by the Sunwah GYLN to broaden their international exposure and to develop their leadership skills and commitment to social services. 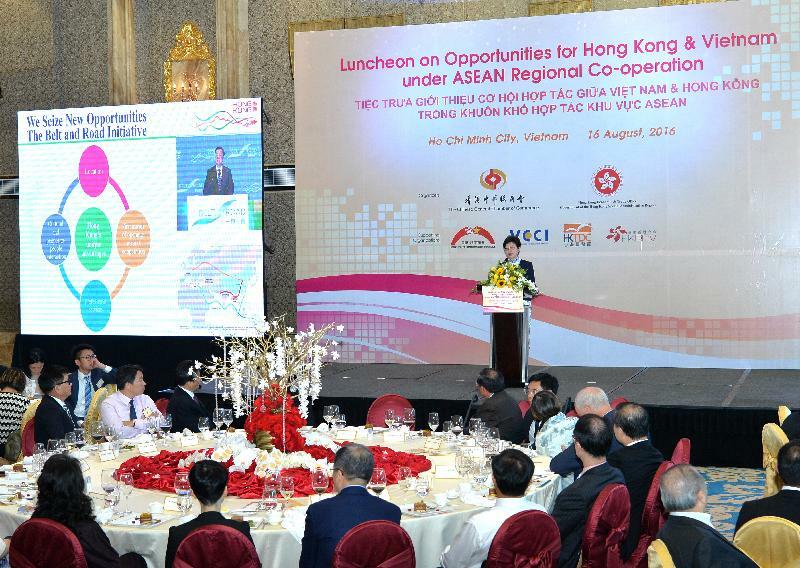 Later, Mrs Lam spoke at a business luncheon co-organised by the Hong Kong Economic and Trade Office in Singapore and the Chinese General Chamber of Commerce. She highlighted the competitiveness of Hong Kong, its unique position as the “super-connector” between the Mainland of China and the rest of the world including Vietnam, and the important roles that Hong Kong could play under China's Belt and Road Initiative. She also said she believed that the future ASEAN-Hong Kong FTA would be an important milestone for ASEAN member states including Vietnam to build closer economic and trade ties with Hong Kong. In the afternoon, Mrs Lam visited a fashion accessory factory owned by a Hong Kong company in Ho Chi Minh City before leaving for Hanoi in the evening. Through marketing products abroad, the company has helped put Vietnam on the global fashion map. Tomorrow (August 17) in Hanoi, she will call on senior officials, visit a university and attend a concert by the Asian Youth Orchestra.